Below are some commonly asked questions about bioethanol and its uses. If you have any questions which are not answered below, we actively encourage you to call us for more information on 01709 524 162. Bioethanol is a plant based, bio renewable alcohol. It is produced from the fermentation of sugars or molasses, originating from agricultural crops such as sugarcane, potatoes and more recently wheat. 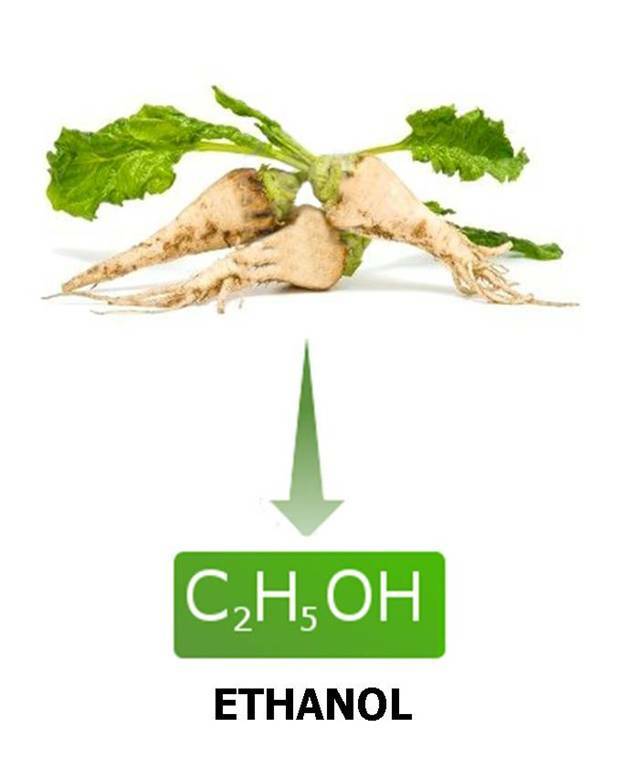 The bioethanol used in our EkoFuel range is sustainably produced from the fermentation of molasses, which are a waste product from the product of sugar from sugar beet. As such, the production of EkoFuel products do not adversely affect the prices or availability of food in the market. It also means the crops used for sugar production are used in full and leave no waste by-products in the environment. 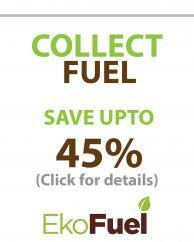 EkoFuel bioethanol is ideal for use as an environmentally friendly fuel and has a very low carbon footprint. The CO2 released when the ethanol is burnt, was first absorbed when the crops used to make the bioethanol were growing. In contrast, non-renewable oil based fuels release CO2 that was absorbed millions of years ago. International regulations do not allow pure ethanol to be sold in pure form for purposes other than human consumption. For this reason, all our EkoFuel products are denatured according to commission regulations (EC) No 3199/93 and are not intended for human consumption. 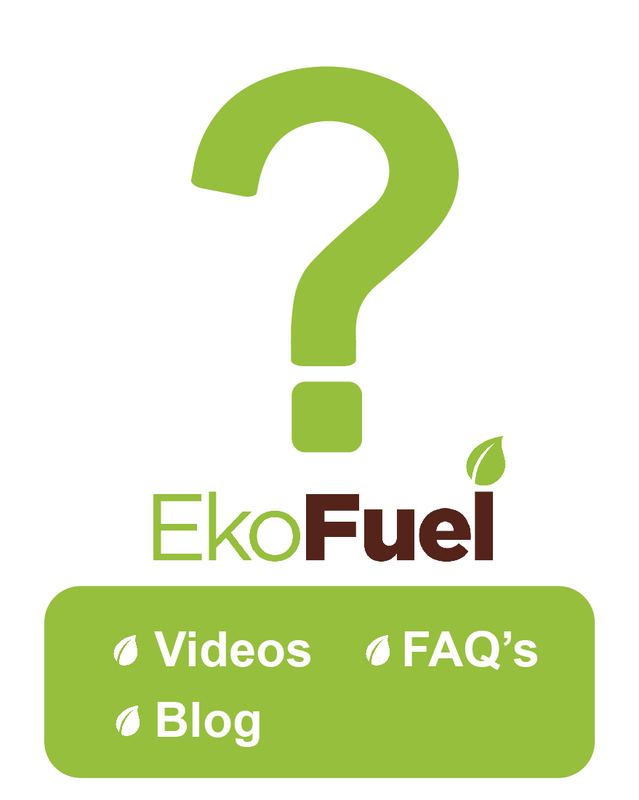 Why use EkoFuel bioethanol as a fuel? Ethanol burns cleanly, giving off mainly water vapour and carbon dioxide. Both are produced in safe quantities and the CO2 given off is comparable with the amount produced while breathing normally. The chemical output when ethanol burns is C2H6O + 3O2 → Heat + 2CO2 + 2H2O. A few other minor emissions when the bioethanol is burnt are all within safe standards for burning ethanol in indoor flueless fireplaces. EkoFuel bioethanol products are safe for both humans and the environment when used in accordance with the instructions. Why is EkoFuel bioethanol a good replacement for methylated spirit? In the UK, meths (methylated spirit) is the common name used for denatured alcohol/ethanol. Denatured alcohol is ethanol with chemicals added to it to make it unfit for consumption. Methylated spirit is ethanol mixed with methanol. It may have small amounts of other chemicals added, as well as a distinctive purple dye. Mixing ethanol and methanol gives meths a strong, unpleasant smell. Methanol is also very toxic when consumed, when absorbed through the skin, or inhaled in high concentrations. In July 2013, the EU European Commission changed the formula for denatured alcohol, replacing methanol with other safer chemicals. EkoFuel bioethanol methylated spirit replacement is made using the new EU recipe. The denatured ethanol is still unfit for consumption however the new recipe has less odour and is safer to use than methylated spirit. Tests by chemists appointed by HMRC have confimed that the changes made to the recipe will not adversely affect the current uses of methylated spirit. These uses include its use as a cleaning solvent, as a fuel, and for de-icing. We have been selling ethanol for over 7 years and we only sell high quality products. All the bioethanol we use in our products is environmentally friendly, non-polluting and produced sustainably. What size bottle should I buy? 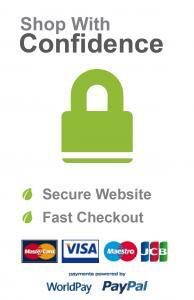 All EkoFuel products are available in standard 1 litre bottles. Each bottle has a small nozzel in the bottleneck, requiring you to squeeze the bottle in order to get the liquid or gel from the bottle. This allows controlled dispensing of the products which is vital, especially when filling bioethanol fires or alcohol stove. It also limits the possibility of spilling the ethanol and ensures a positive flow of liquid is always achieved when dispensing the liquid. EkoFuel bioethanol for camping stoves is available in smaller 500ml bottles. These bottles are ideal for customers who prefer smaller bottles of fuel to take away camping and hiking. As with the 1lt bottles, the 500ml bottles also have a small nozzle in the bottle neck to give users control when dispensing the products and filling alcohol stove. If you require a container size not shown here, please contact us to discuss your requirements. We can supply quantities from as little as 6lts up to 100,000+ litres. How safe is bioethanol fuel? EkoFuel is certified according to the European Standard for storing and transportation of UN products. It bears the bottle sign for optically challanged persons (triangle) and all bottles and containers comes with a safety cap as standard. The 500ml and 1lt bottles also come with a nozzel mounted in the neck of the bottle, to ensure that a postive flow of liquid is always achieved when dispensing the liquid. All containers come with the correct safety labelling and warnings. EkoFuel bioethanol products are safe for both humans and the environment when used in accordance with the instructions. Bio ethanol is classified as a Flammable liquid class 1B (for flammability) and subject to various regulations relating to storage, transportation and resale which you need to familiarise yourself with. Please see here for detailed safety advice regarding bioethanol fuel.